A rare and sold out collectors item. 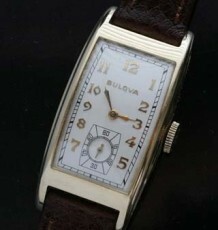 Hand made to celebrate the 50th anniversary of the introduction of Bulovas' revolutionary Accutron watches in 1960. A like new Bulova 50th Anniversary Spaceview Accutron with the handmade 214 movement. This limited edition model is one of only 1000 units being made. 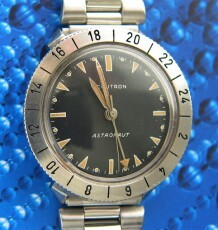 The watch may look similar to the original 214 Accutron Spaceview from the 1960’s, however this model is much larger and sports a sapphire crystal for extra durability. 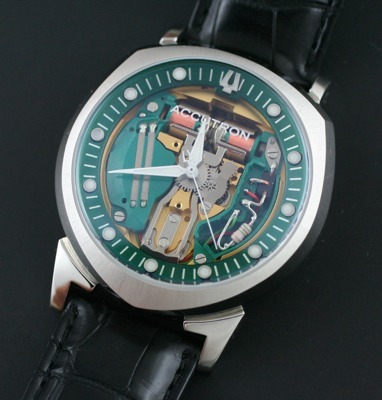 The movement in the watch is a hand assembled Accutron calibre 214 with the legendary tuning fork mechanism. Accutron collectors and people looking to get a cool collectible have been buying these watches as soon as they are hitting the dealer showrooms. This is the second of the re-issued Accutrons that I have been able to offer for sale. 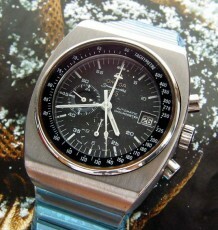 The watch comes on the original Accutron signed Crocodile strap with signed buckle. The watch also comes with all the original packaging and shipping boxes. 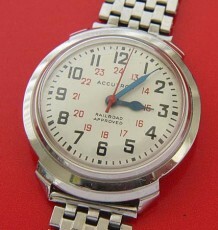 The unique case measures 42 mm wide, making it larger than many sports watches.